History often tells us a story that is worth remembering for ages. 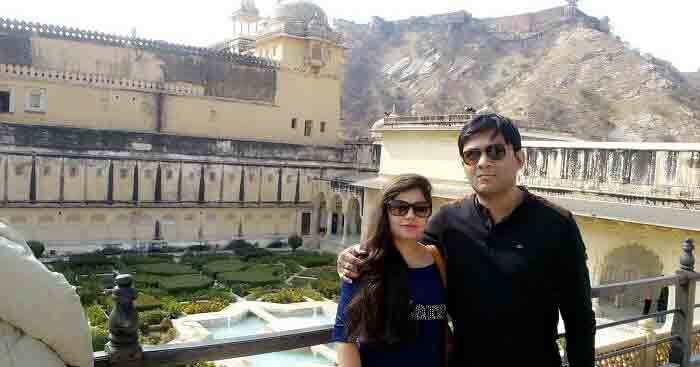 Sourabh and his wife traveled to Jaipur to enjoy the rich past, culture, and picturesque palaces. 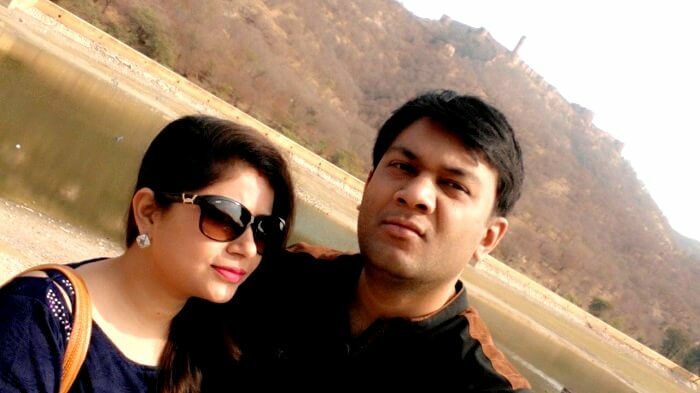 Their 3 nights/ 4 days trip to Jaipur cost them INR 17,000 and it included their transfers, sightseeing, breakfast, and accommodation. 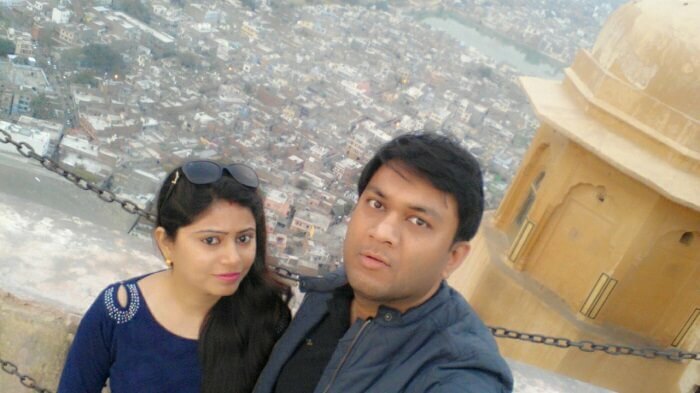 We selected Jaipur as our destination because I felt it was the right time of the year to go for it. The winter months made the weather chilly, but the morning sun made the places light up. 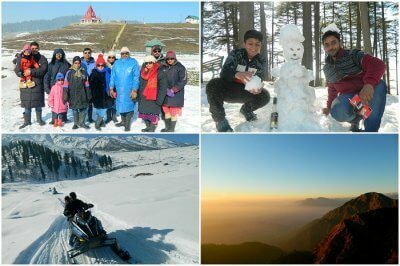 Also, we wanted to visit a place nearby Delhi which won’t be too cold – thus it was perfect! Not to forget, the rich historical relevance that the place held. 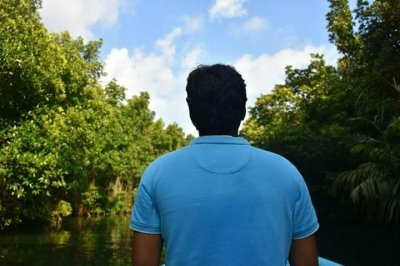 A friend of mine recommended TravelTriangle for our trip to Jaipur. They gave us an option of building a customized itinerary according to our requirement. Neha from TravelTriangle was very helpful in guiding us through the booking process by connecting us to various agents offering multiple quotes for the package we needed. 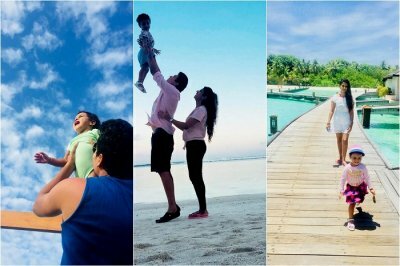 I selected the package offered by ‘Deejohn Holidays India Tour’. 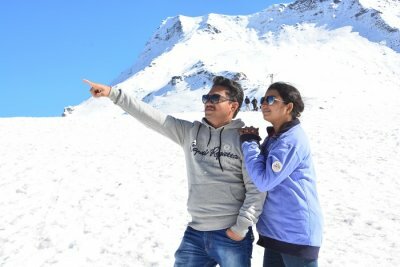 My wife and I were really looking forward to this trip as we were eager to see historical places of the Mughal and Rajputana era. Additionally, we both recognized that in Jaipur we could catch hold of a lot of the famous locations where Bollywood movies were shot. After taking our flight from New Delhi, we landed in Jaipur at 5 am. The driver was present to receive at the airport and drive us to the Hotel Royal View where we checked in. We decided to rest for a few hours to catch up on some lost sleep of the previous night. After that, we had a lovely north indian breakfast and proceeded for the city tour at 11 am. The perfect time to go for sightseeing in Jaipur with the presence of the crisp winter sun. The tour started with a visit to the City Palace, Jantar Mantar, and Hawa Mahal. I found the construction of Hawa Mahal to be amazing. The intelligence and craftsmanship of the people who made this palace 200 years ago must be commended, because even on the hottest of days this palace utilizes natural air to cool the surroundings to perfection. We wound up the tour by visiting the Jal Mahal at sunset. We were taken to the palace in a small boat as the sun set right before our eyes. 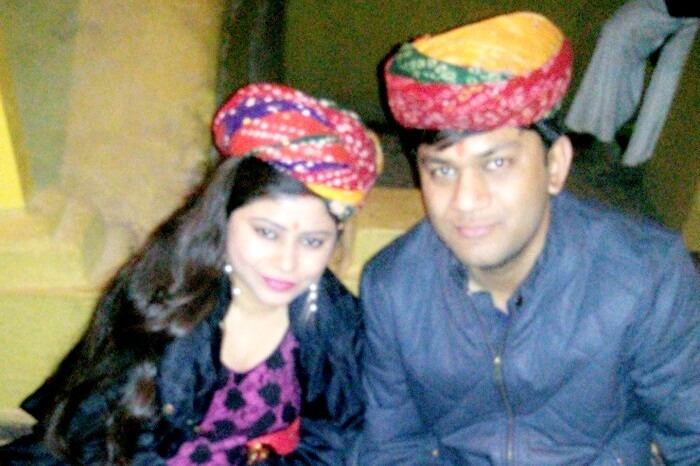 It was a romantic end to the first day of our trip to Jaipur. 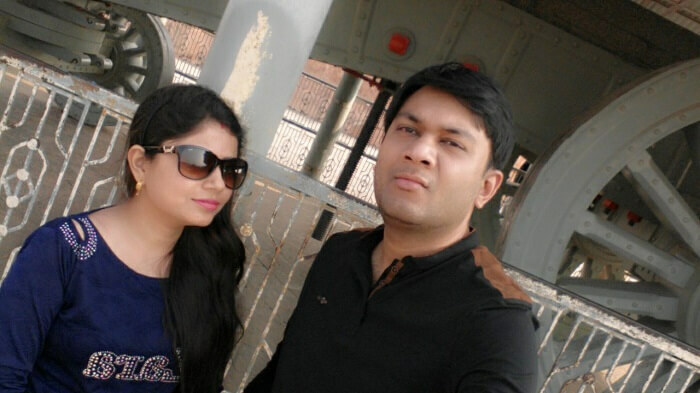 In the evening, we headed to a heritage site built on the outskirts called Chokhi Dhani. The place has been modelled like a traditional Rajasthani village with lots of cultural activities and places to shop. After dinner at Chokhi Dhani, we returned to the hotel and called it a night. 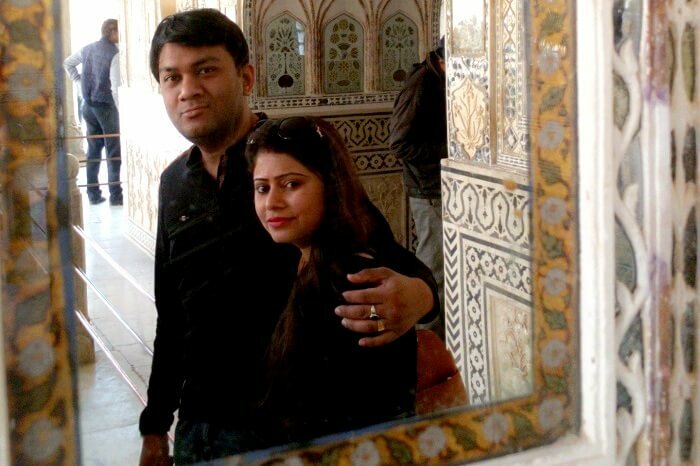 We woke up the next day and got ready to explore some more beautiful places to visit in Jaipur. 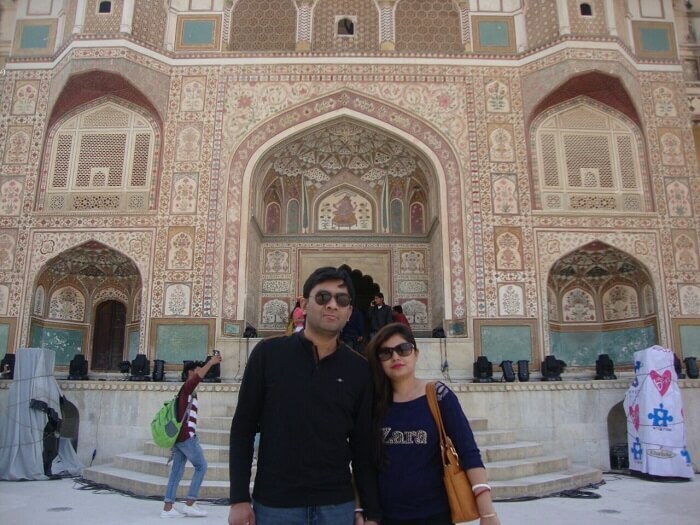 The tour started with a visit to the grand palace within the Amer Fort. One of the most iconic tourist spots, Amer Fort find a spot in every itinerary that goes with a trip to Rajasthan. The palace built atop a hill, is a luxurious palace that reminds us of the glorious Rajputana past. Also covered during the day were, Panna Meena ki Baoli, and Jaigarh Fort. We ended the day with a visit to the beautiful Nahargarh Fort. A fort built with an intention to keep a watchful eye on the city and prevent it from foreign invasions. The fort provides a fantastic panoramic view of the entire Jaipur city. It’s a must visit place on your trip to Jaipur. As an added incentive, it is also the place where Rang De Basanti and Bhool Bhulaiyaa were shot. Later, we returned to the hotel at 9 pm and rested for the night. Another day to look forward to in our trip to Jaipur. The day began on a bright note and a delicious breakfast. We started the tour at 11 am with a visit to the Albert Museum. A place chosen by the history fanatic inside of me. Post lunch, we covered the iconic Raj Mandir Cinema Hall and Birla Mandir. Afterwards, my wife and I proceeded for some shopping at Johari Bazaar. I must say that shopping in Jaipur was a delight as the shops are filled with interesting souvenirs. 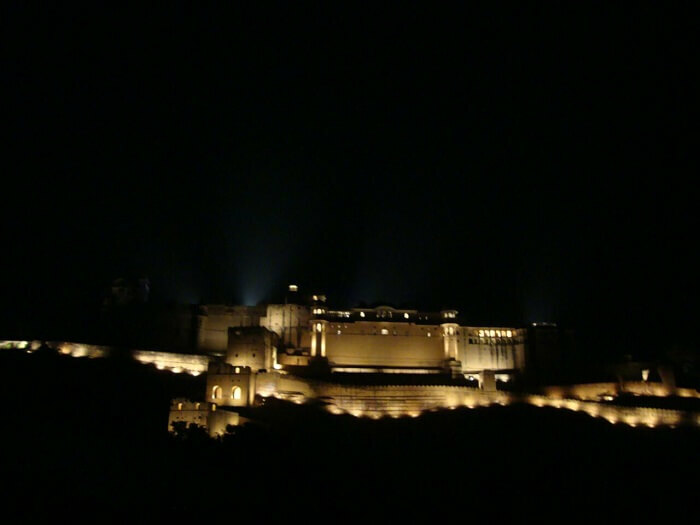 At 7 pm, we headed to the Amer Fort for a sound and light show. The show was fantastic as it displayed the glorious past of Rajasthan. Later on, we returned to the hotel and called it a night. The next morning, we did an early check out and proceeded for our flight back to New Delhi. Certainly, in these past few days Jaipur not only managed to charm us, but even confound us it’s evergreen history and hospitality. I have been to Jaipur 3 times earlier as well, but I was unaware of some hidden places we covered this time like ‘Rang De Basanti’ movie spot, Nahargarh Fort, Light and Sound Show of Amber Fort, and Panna Meena Ka Baoli. 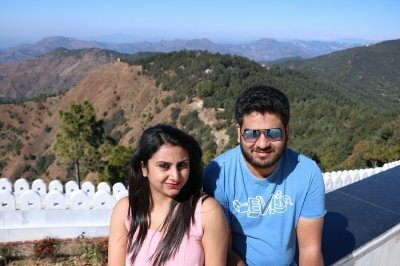 I would like to thank Mr Bhanwar and TravelTriangle for showing us these lovely places and making our trip to Jaipur truly memorable. Sound and light show in Amer Fort. The visit to the spectacular Nahargarh Fort. Just a small negative experience, when one day, hot water wasn’t made available in the hotel. Experience the true gems of Jaipur with a TravelTriangle customized itinerary. Witness the charm and magic of Jaipur with an itinerary made just for you! Book now to experience the magic of Rajputana culture.